A delicious variety of the good tempered herbaceous cinquefoils, with masses of rounded, cherry coloured flowers with a large area of red at the centre of the flower. The foliage is rich green with strawberry plant-like foliage. It flowers for weeks throughout summer. Potentillas are a very durable, hardy plant, tolerating drought, flooding, extreme cold, and easily survive transplanting. They thrive in most soil conditions, and stand shade and sun alike. Although they prefer well-drained, reasonably rich soil, they will also tolerate clay, rocky, or slightly alkaline soils. They should be planted in a sunny area which receives light shade in the hottest part of the day to prevent the flower colour from fading. Flowering over a long period, it forms a low-spreading clump that looks good in a sunny cottage garden border, raised bed or border. 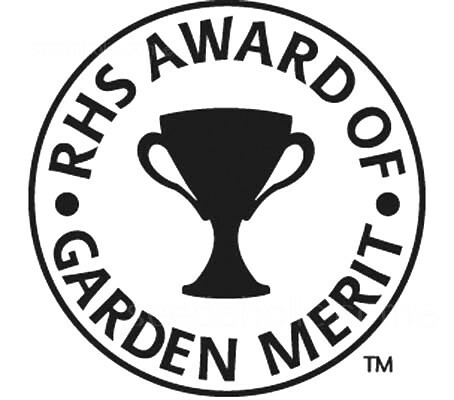 The RHS has awarded Potentilla nepalensis 'Miss Willmott' the Award of Garden Merit (AGM). Seed sown early will often produce flowers the same season. When large enough to handle, transplant seedlings into 7.5cm (3in) pots. Gradually acclimatise to outdoor conditions for 10 to 15 days before planting out after all risk of frost, 38cm (15in) apart. Provide any ordinary, well-drained soil in full sun. Although drought-hardy when established, to bloom its best it should have moderate watering during the summer months. Seasonal fertilizing with an evergreen fertilizer isn't essential, but can benefit especially a clump that is in a crowded perennial garden. The main flowering period is June, July and August and it usually continues to first frosts. If at any point it stops flowering, cut the stems back to get a second flush of leaves and buds. It might die back naturally at the end of the season otherwise cut back stems that remain to ground level in spring. Potentilla is a long-lived plant that can be divided every three years or so, in spring. Cottage/Informal Garden, Flower Borders and Beds, Rock gardens, Containers. Coastal. Potentilla is a genus containing over 300 species of annual, biennial and perennial herbaceous flowering plants in the rose family, Rosaceae. Potentilla are generally only found throughout the northern continents of the world (holarctic), though some may even be found in montane biomes of the New Guinea Highlands. 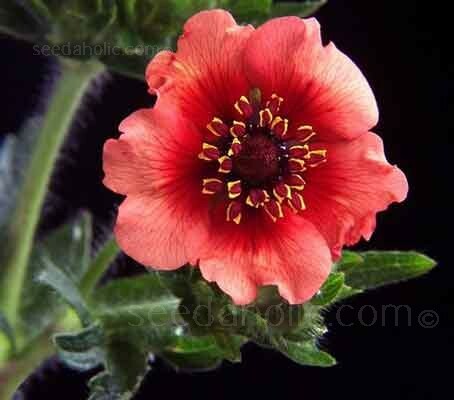 Potentilla nepalensis is a species that is native to East Asia and West Himalayas, from Pakistan to Nepal. The species can be found in grazing grounds and cultivated areas, at elevations of 2,100 to 2,700 metres (6,900 to 8,900 ft) above sea level. Nepalese potentilla is used in the Western Himalayas to treat burns, and for other uses, though efficacy is to date unproven. The starchy root is also regarded as edible, at a pinch. The genus name has its origin is the French ‘potence’ meaning ‘potent’ (strong, powerful or mighty). The origin of these words is the Latin potens, which has the same meaning. Historically it was believed to be a potent medicinal plant. Pronounced poh-ten-TILL-uh: nap-ahl-EN-sis. They are commonly called cinquefoils in English. The plants have a five-fingered arrangement of leaves, to which the name ‘cinquefoil’, meaning ‘five-leaf’ alludes. Named for Miss Ellen Ann Willmott (1858-1934), a British gardener, best remembered for plants named for her. Her garden is at Warley Place near Brentwood in Essex, part of which became a reserve for the Essex Naturalists' Trust in 1978. Miss Ellen Willmott was born in 1858. Independently wealthy, gardening became her passion. She became renowned for her knowledge of plants, her patronage of plant hunters (notably Ernest Wilson), the book she published on roses and her prickly temperament. In 1897, she shared the Royal Horticultural Society's Victoria Medal of Honour with Gertrude Jekyll. In 1910, she published the Genus Rosa, still considered the definitive work on species roses. 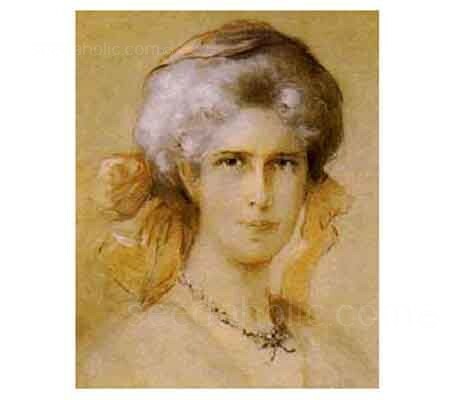 She never married and instead bought properties throughout Essex, in France and in Italy, and built gardens there, so that at one time she had more than 100 gardeners on her pay-roll, who shipped seeds all around the world for other gardeners. Many a garden to this day owes a debt to the hundreds of strains developed at Warley. A book issued in 1909, Warley Garden in Spring & Summer, includes thirty photogravure plates that reveal the excellence of Ellen's gardens in their heyday before the first world war. Plant-hunters who, as well as bringing her plants, repaid her in the usual way, by naming some of the species they discovered after her. Her legacy is the plants that she introduced. She had over 60 plants named after her or her home Warley Place. The specific epithets of warleyensis and willmottianum are named for her.